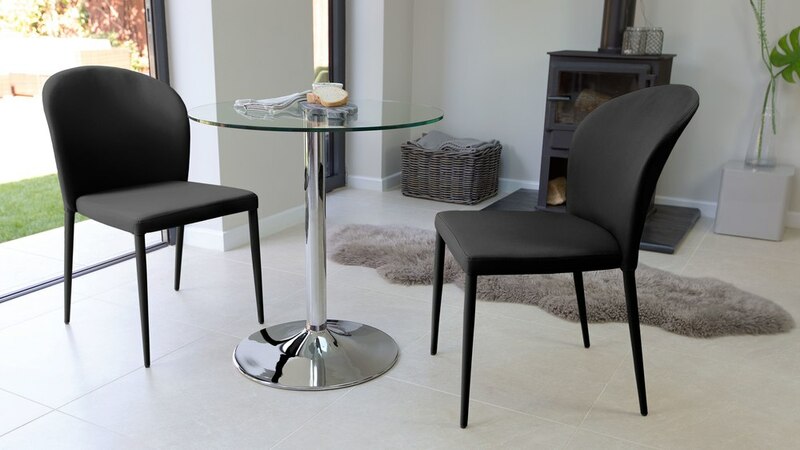 If you are short on space or perhaps you just want to create a cosy nook in a corner of your dining room or kitchen, the Naro Glass and Santo Stackable 2 Seater Dining Set will fit the bill very nicely. 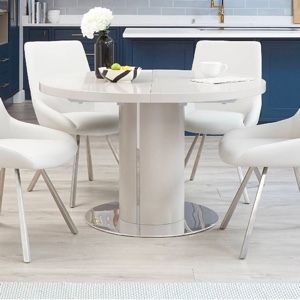 The tempered glass top and chrome base of the Naro table will keep your space looking open and fresh, while the tactile faux leather covering and gentle curves of the Santo will create a very warm and welcoming feel. 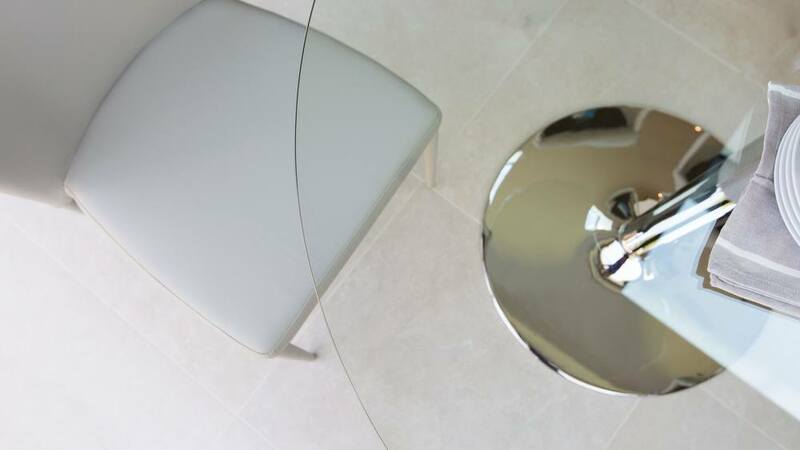 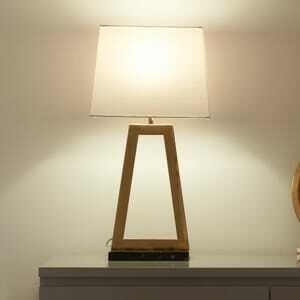 The beauty of the Naro table is that being glass, it is gives off a feeling of light and space. 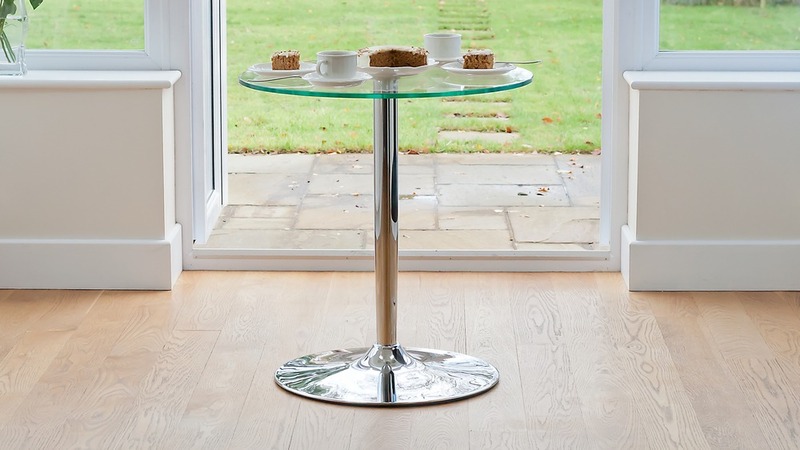 The table top is clear and therefore gives the illusion of openness, really making the most of the space you have available. 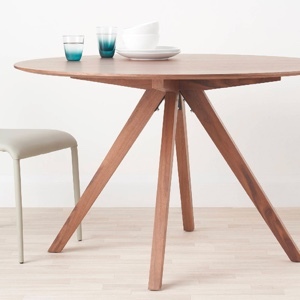 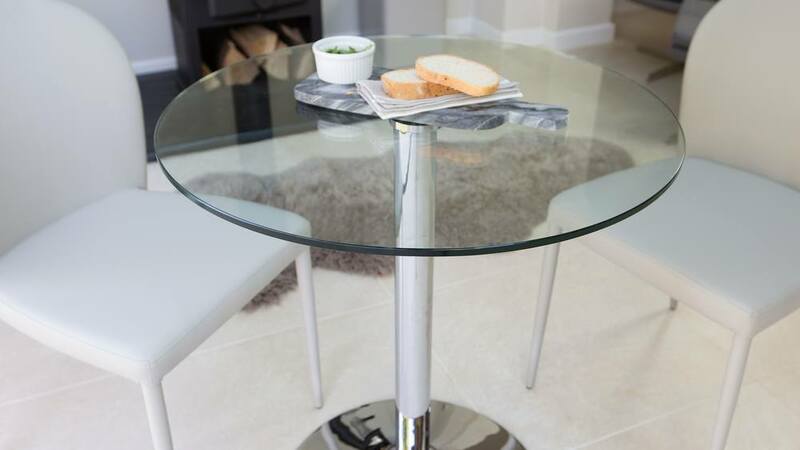 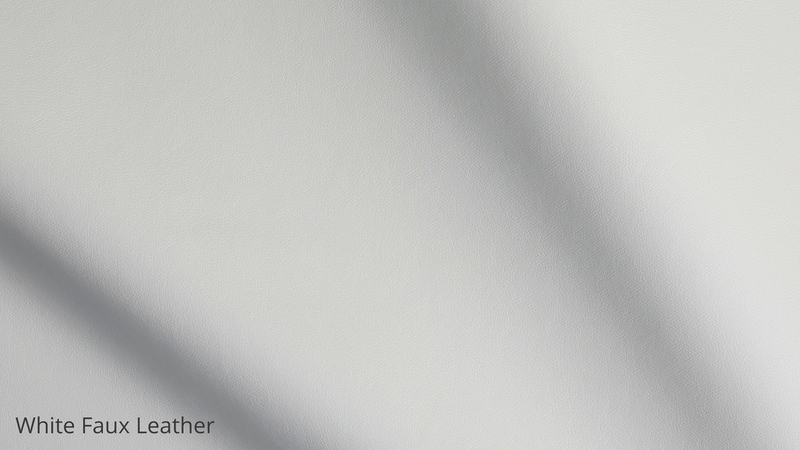 The 1cm table top is made from tempered glass. 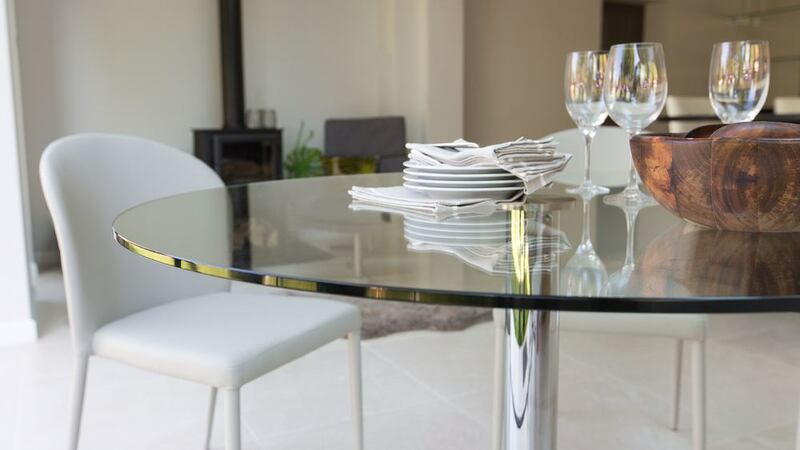 You needn't worry about having a fragile table top as tempered glass is incredibly strong, sturdy and durable, making it very safe around you and your family. 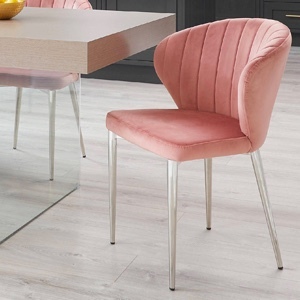 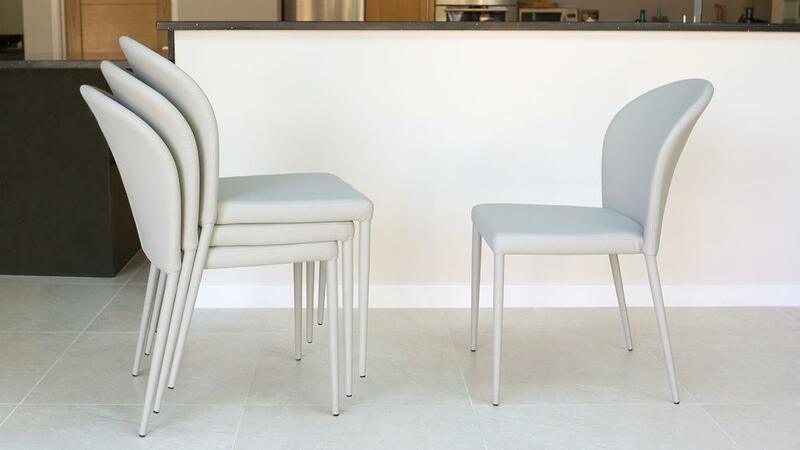 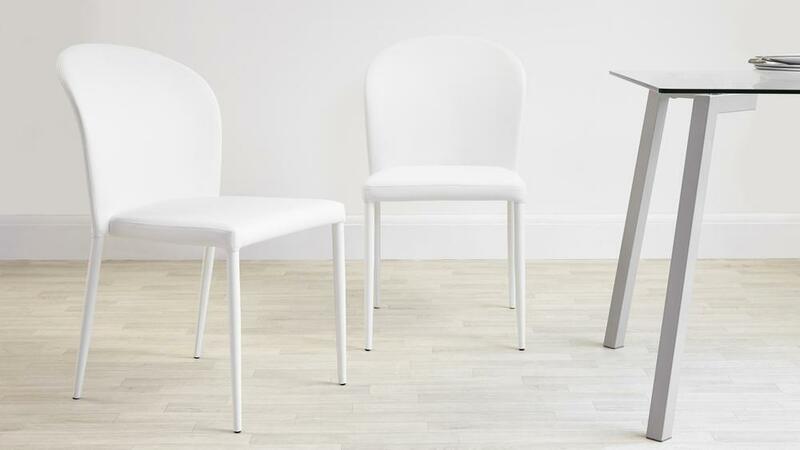 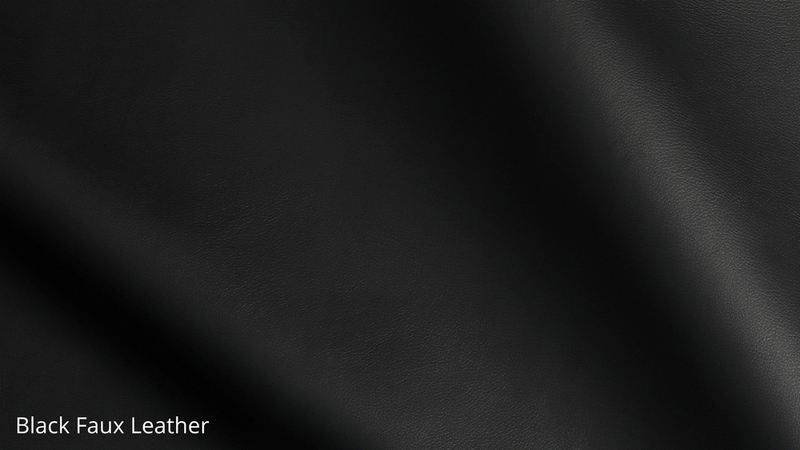 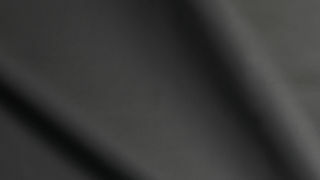 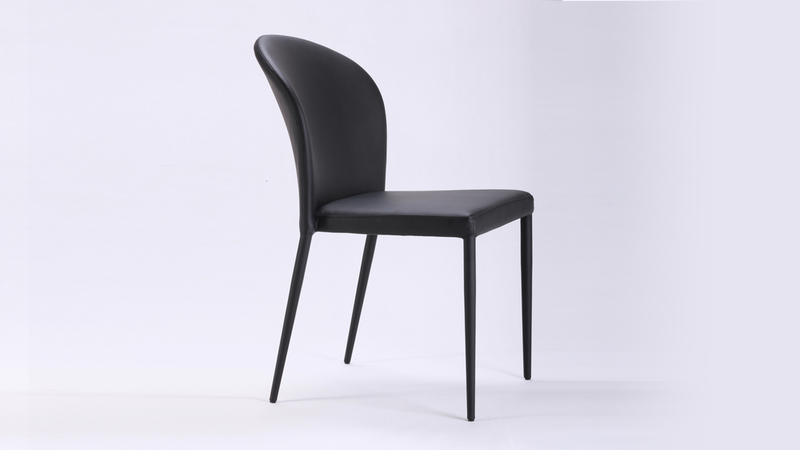 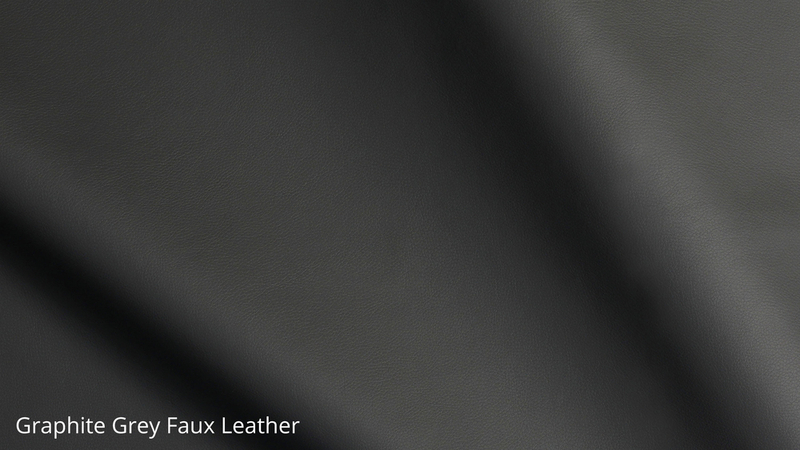 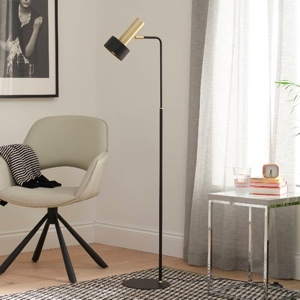 The curvaceous Santo chair is fully wrapped in faux leather to give the chair a complete and seamless look. 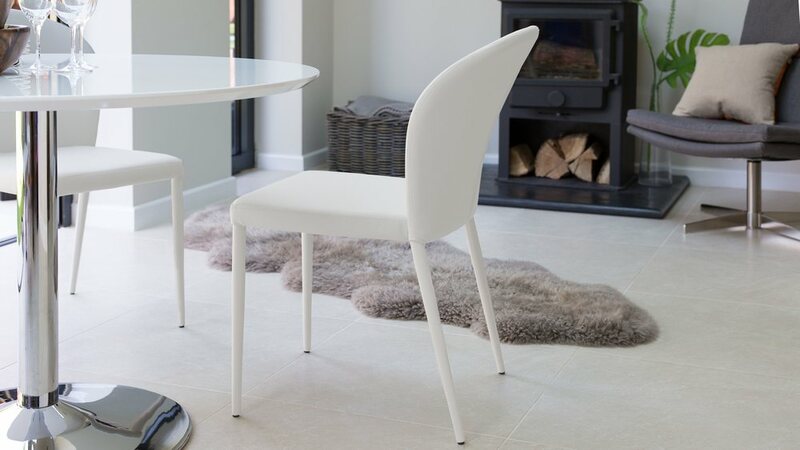 This also takes away the hassle of having to match the chair leg finish with the chrome pedestal base of the Naro. 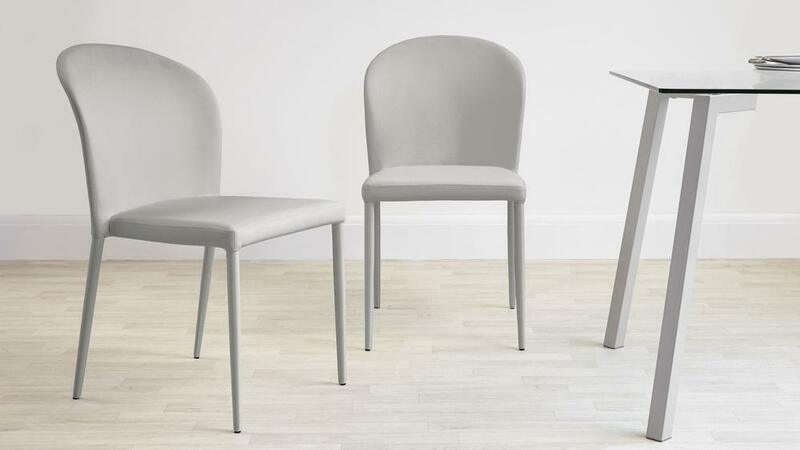 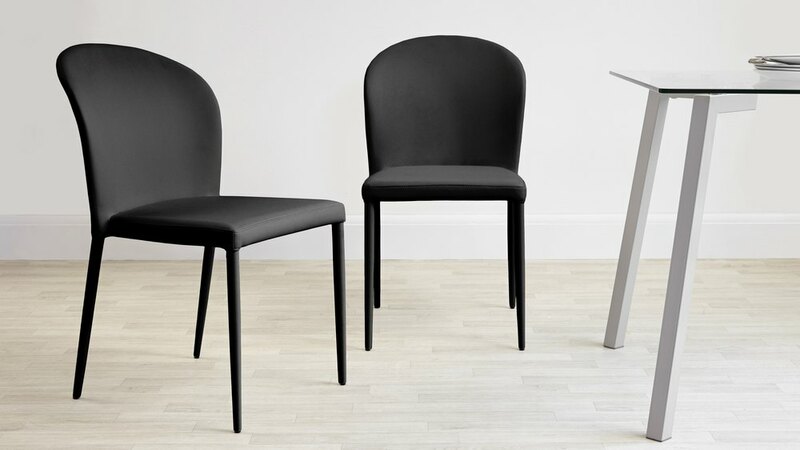 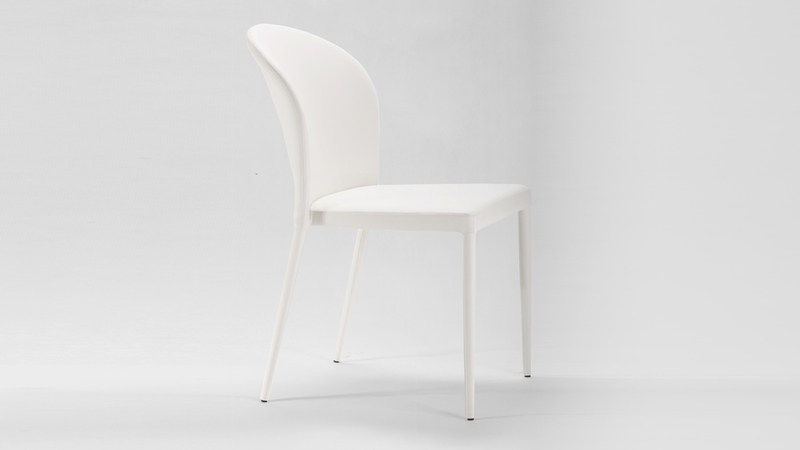 The Santo Dining Chair is also a stackable seat. 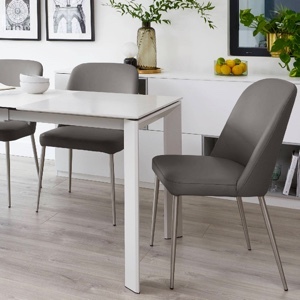 This is such a great pairing with a round dining table, as you can always pull up a few extra seats for when you have more people to gather round the table and then store them away when not in use. 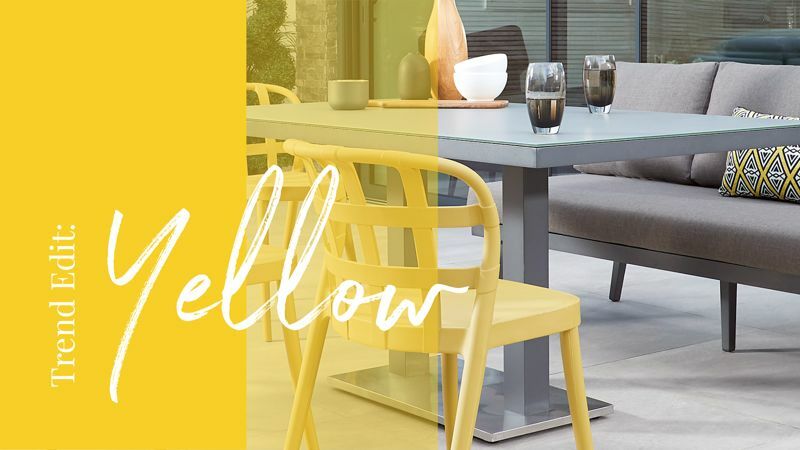 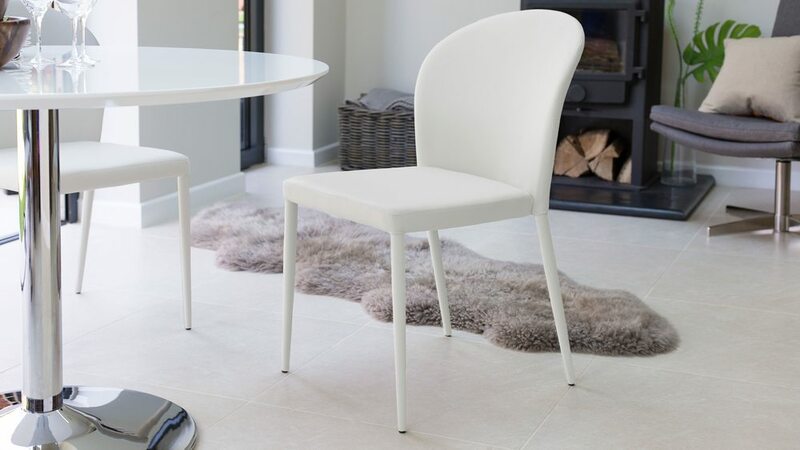 Small but stylish, the Naro Glass and Santo Stackable 2 Seater Dining Set effortlessly coordinates to give you a handy seating area in your kitchen or dining space. 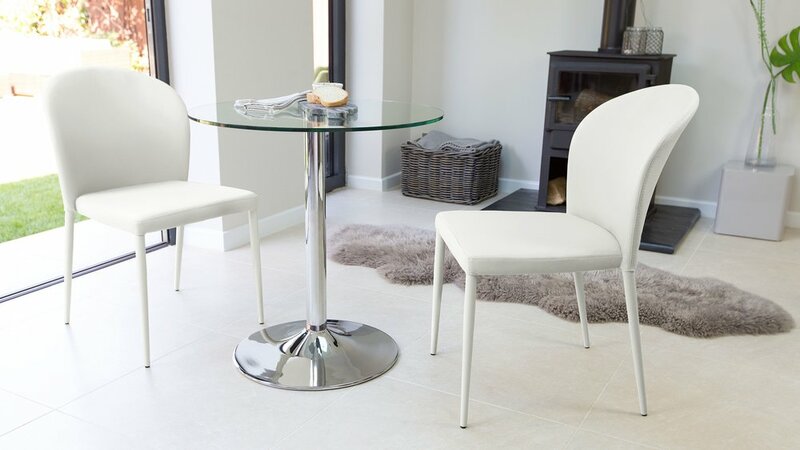 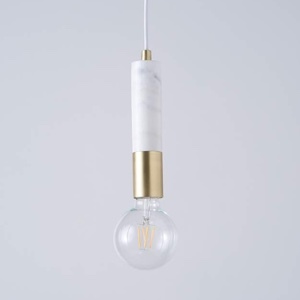 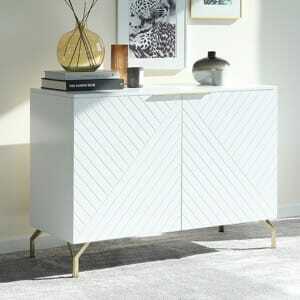 We also have a white gloss version of the Naro table available if you wanted something other than a glass finish. 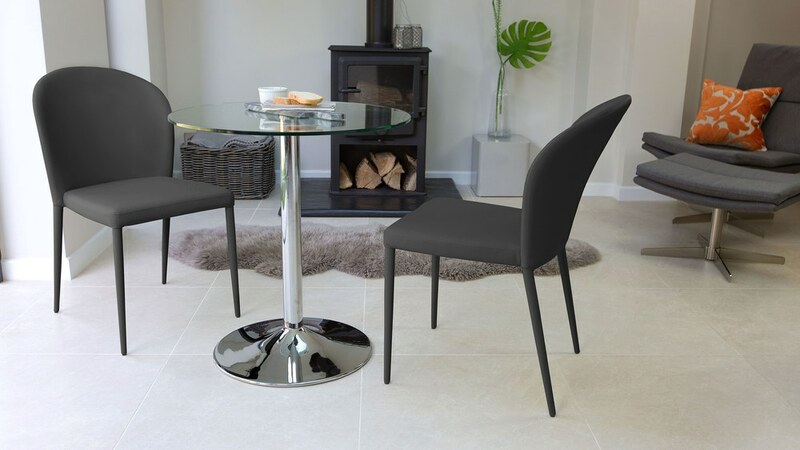 The Naro Glass and Santo Stackable 2 Seater Dining Set not only looks elegant and effortlessly modern, but it is also very practical too. 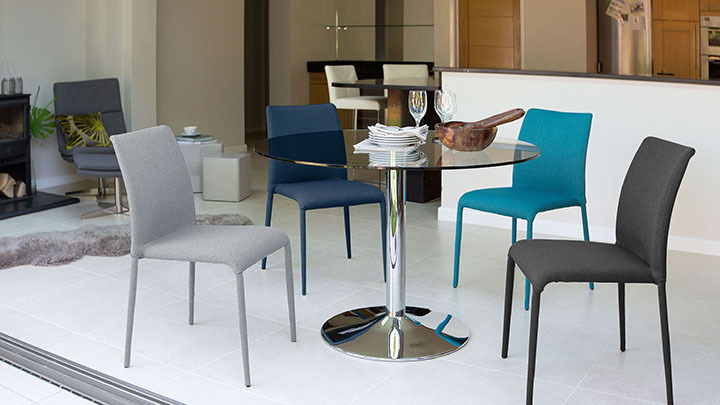 The Santo chairs can be stacked, so you could always buy a few extra seats for when guests come to visit. 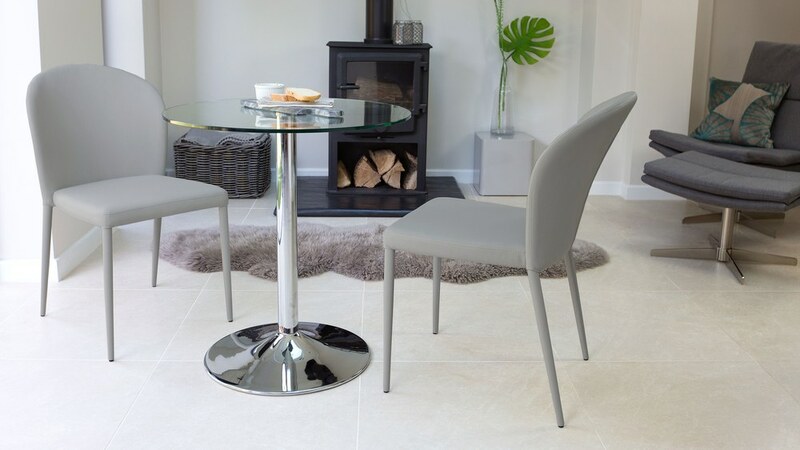 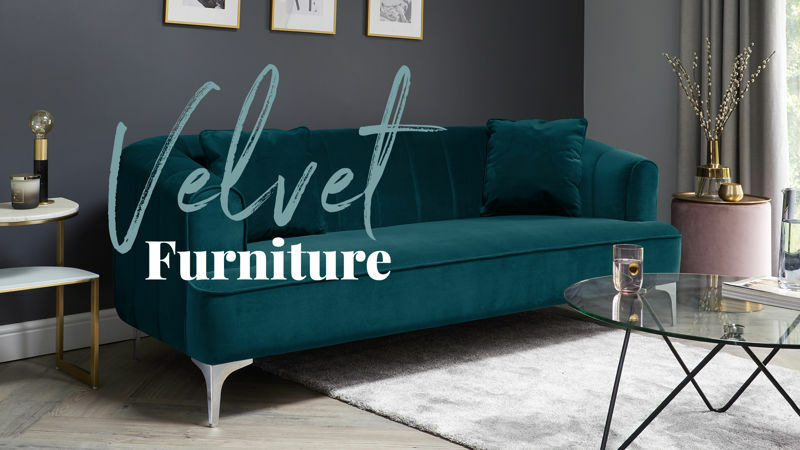 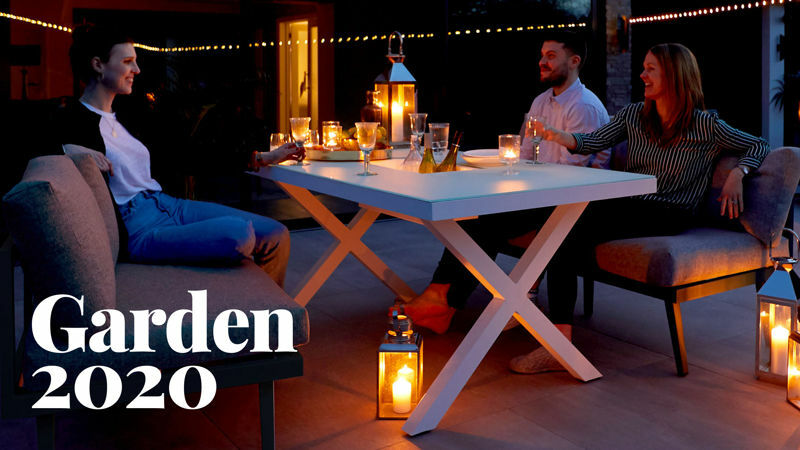 The rounded glass table top is much less restrictive when it comes to seating arrangements, so you could always gather a couple more chairs around if you want a place to sit and chat, rather than have a meal or do work. 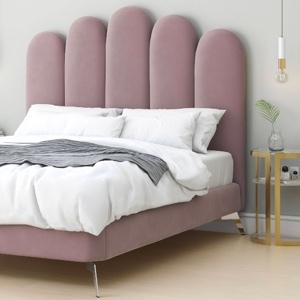 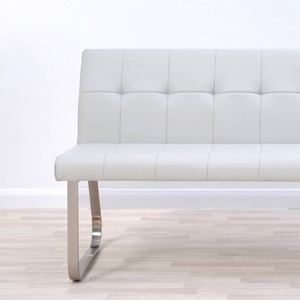 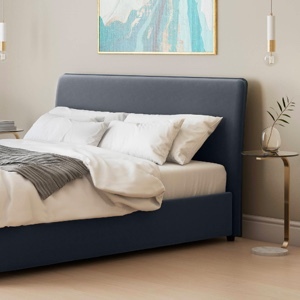 This two seater set may not be large in size, but if anything this really works to its advantage. 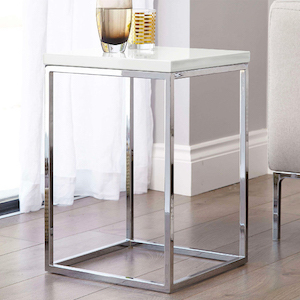 The use of glass gives the table less of a visual impact, while the chrome pedestal base creates a light and modern look in your space. 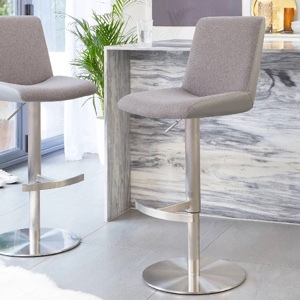 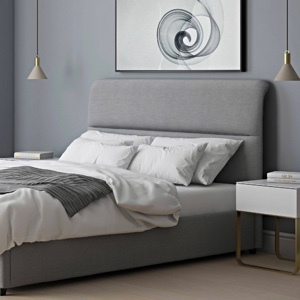 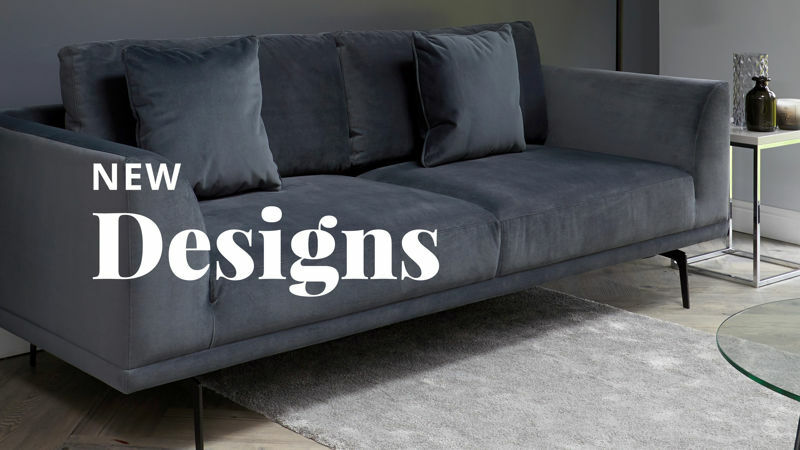 This means you can place this set anywhere in your kitchen or dining room and it will actually help create a bright, open and more spacious feel.